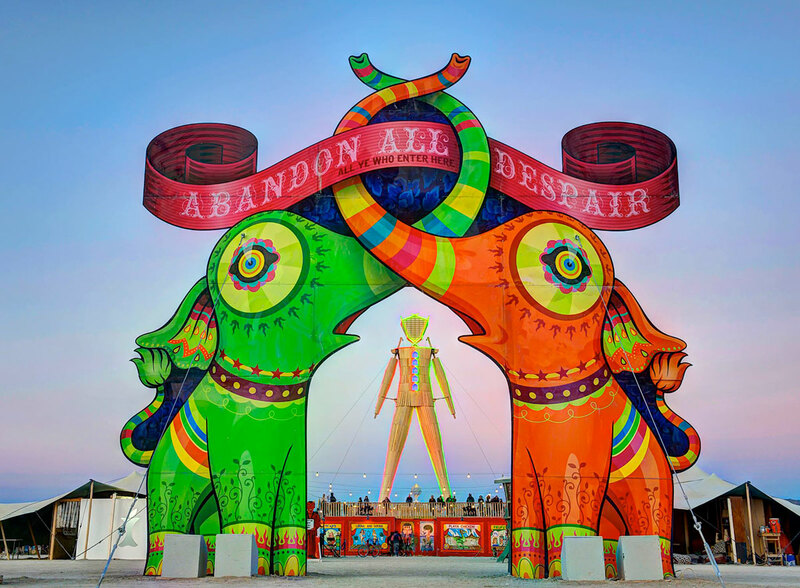 Artist Hugh D’Andrade created a number of illustrations for Burning Man 2015. 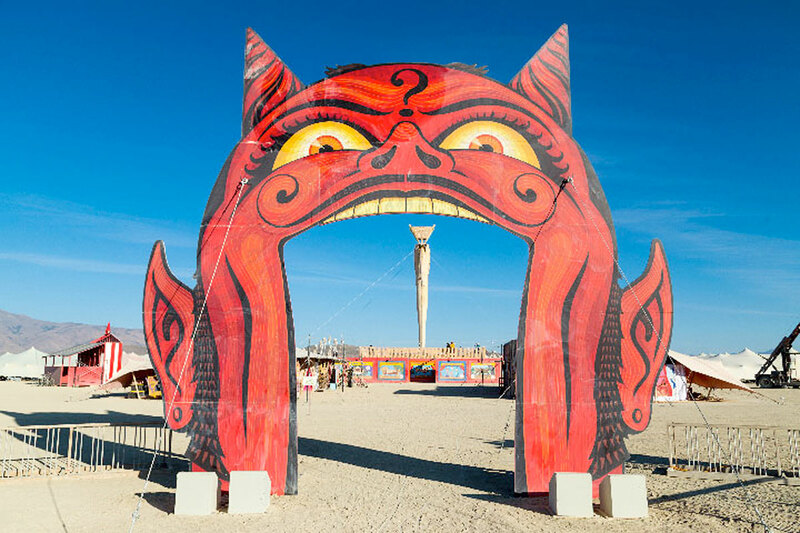 Burning Man is a desert event that takes place once a year. 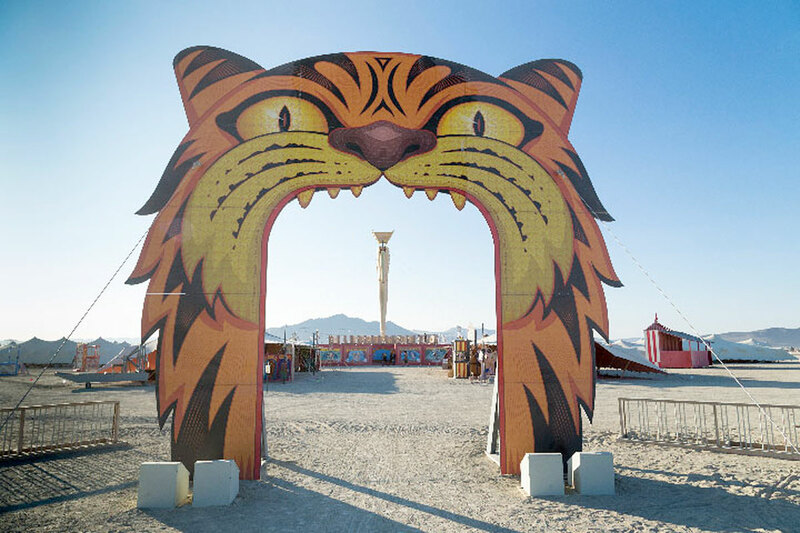 It has been described as the following, “Once a year, tens of thousands of people gather in Nevada’s Black Rock Desert to create Black Rock City, a temporary metropolis dedicated to community, art, self-expression, and self-reliance. In this crucible of creativity, all are welcome” (taken from their website). 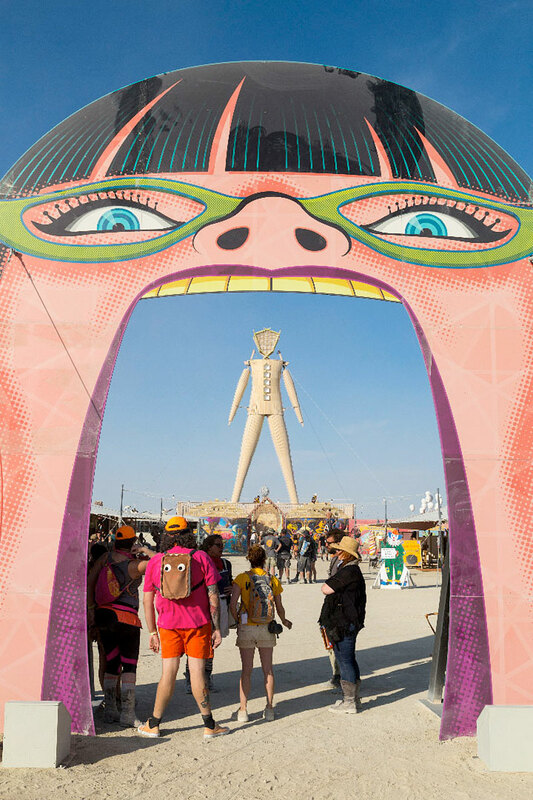 These installations were 20 feet tall, and they were featured as the entryways to the pavilion at the base of the Man.